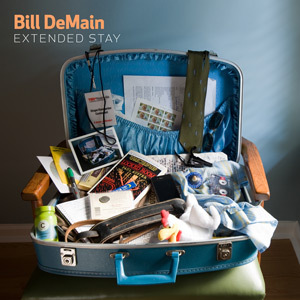 Bill DeMain has already released nine albums as one half of Swan Dive however he will release his debut solo EP “Extended Stay” on the 20th of February. DeMain is Nashville based so you can expect a country/roots influence on many of the songs on this record. Opening track “Looking for A Place to Live” is a gentle, soothing song that sets the tone for this well crafted album. DeMain sings with a quiet confidence, similar to Joshua Radin his vocals are restrained and simple yet very effective- they allow the music and the storytelling lyrics to lead the songs. “Honeylove” is a beautifully understated love song that is genius in its subtlety from the soft female harmonies to the echoey backing; it is a perfect romantic tribute. “Common Love Song” is one of the tracks on this EP where the guitar is left aside and DeMain turns to the piano, giving this track a slightly more jazzy feel- helped along with the introduction of electric guitars and cymbals. “Raggedy Man” is a charming song that could be the opening to a sitcom or a movie, it is a cute Beatles-esque song that is instantly memorable- always a good sign. Overall this is a brilliant EP from DeMain that highlights a sharp song writing skill and a diverse musical range, hopefully an LP will be up next!